Secure armour, clothing, and accessories in place with this Brown Leather Lace, or use it for DIY and repair. 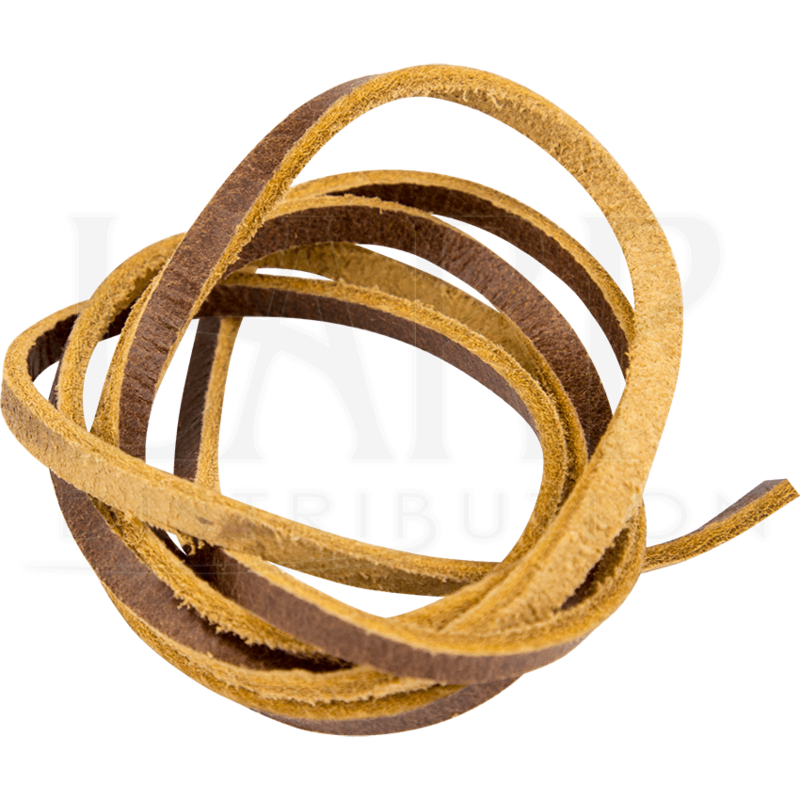 Versatile and sturdy, this thin, brown leather cord has a multitude of uses and is between 35 and 40 inches long. This genuine leather lace can take the place of lacing you already own, strengthen an armour attachment, or add rugged detail to medieval, fantasy, and Renaissance clothing. 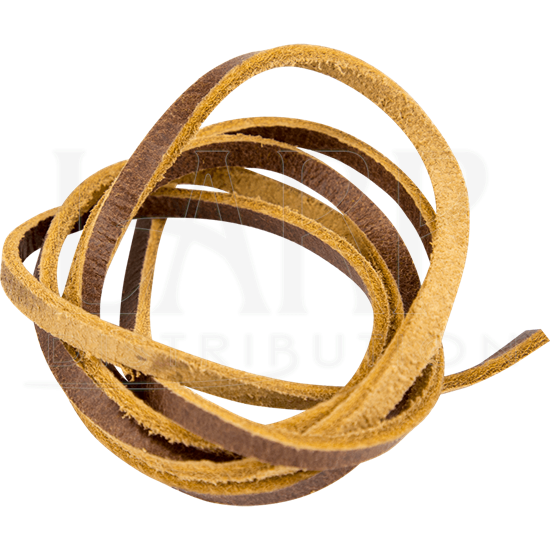 This sturdy leather string is an essential for any LARPer, reenactor, costumer, or craftsperson.